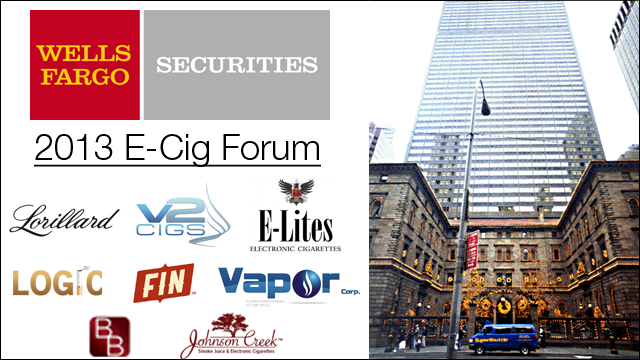 Just a few days ago, many leaders from the electronic cigarette industry attended the Wells Fargo Securities Inaugural E-Cig Forum in New York City. 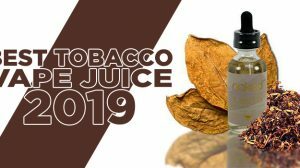 The event includes presentations from some of the most successful electronic cigarette companies & brands as well as a public health and regulatory panel. Participating companies were Ballantyne, E-Lites, Fin, Johnson Creek, Logic ECig, Blu, NJOY, V2 Cigs, Vapor Corp, along with a Public Health Panel and Regulatory Panel. The event gives companies and individuals a unique opportunity to hear directly from and network with industry leaders and visionaries. The objective was to provide those with access to some of the top experts and executives in the industry as they discuss topics including: the continued evolution of e-cigarettes, consumer behavior/acceptance of this growing category, production, quality control, the changing retail landscape for e-cigarettes, the vast potential of e-cigarettes and what this means for the tobacco category as a whole. 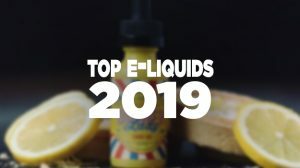 If you are an e-cigarette company, attending this event would have offered an insider look into important issues, as well as a way to network and grow your business. 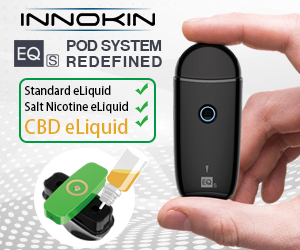 For those of you who weren’t able to attend, our friend Klaus Kneale at Ecig Advanced attended the event and relayed some notes from the presentation. Mission: Obsolete Smoking. Perhaps the most common thread here as stated by representatives of NJOY is the goal of taking out cigarettes. The industry and now even some public health experts are hoping e-cigs will make smoked cigarettes an obsolete product. 200, Baby! 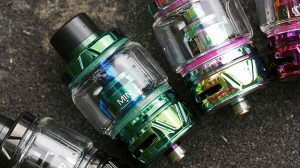 It’s now believed that the United States hosts more than 200 full-fledged electronic cigarette companies. 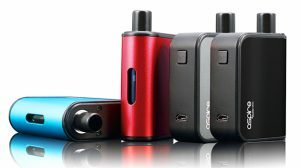 Growth of e-cig sales seem more likely to boot out tobacco cigarette displays than force e-cig companies to fight for space among one another. Retail:2014 will be a year of crazy growth for retail e-cig distribution and will likely put previous industry growth to shame. David Abrams is officially on our side! The former major anti e-cig tobacco prohibitionist spoke as part of a public health panel in support of (reasonable) open access and promotion of electronic cigarettes in light of their relative harm (almost none) compared to tobacco cigarettes. The industry now refers to “mods” as “open system devices”. This relates to the idea of customization without reminding people that mods used to be made out of nearly anything like power tools or household batteries.